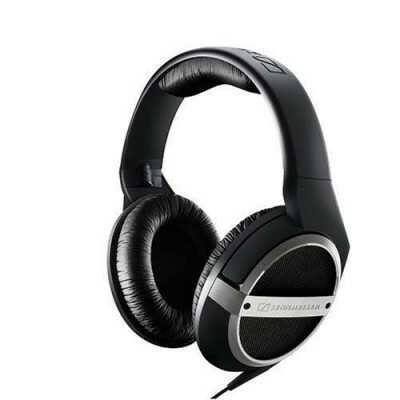 What: Sennheiser HD448 Closed Headphones. How much: about 60 quid (Amazon). Why: I need to block out the office chatter, while also not forcing my co-workers to hear my music. Also, I need to wear them for 8 hours at a time. Any good: Hell yes. They are very light weight, the sound (out of my iPhone) is good, the bass is nice, but not too heavy (the iPhone bass booster mode fixes that), and they have finally sorted out the cable issue. This comes with an attached, thin cable which is about 1.4m long. Thats long enough for me to wear with my phone in my jeans pocket. It also comes with a 1.6m extension, so I could, if I wanted to, have a 3m cable. I don't tho. Perfect solution. Lighter and the cable is better than the HD380 Pro, which has the most annoying cable system EVER. Sounds about the same. Feels a lot more breakable than the HD555 (or 595) which feel like they could be run over with a truck and still work. On the plus side, they are closed, as not everyone loves John 00 Fleming as loud as I do. Also massively lighter. Ear feel is about the same as a pair of Bose QC15's, tho they are not noise cancelling. Beats the hell out of the in-ear ones I had before this.